Frank von Hippel, one of the world’s leading specialists on nuclear weapons, has provided us―and the presidential candidates―with an important challenge: How are we going to get the stalled nuclear disarmament process moving forward once again? Answering the challenge is particularly problematic because it requires navigating between the national security fears of U.S. political leaders and the apparent disinterest in further nuclear disarmament on the part of the Russian government. Even so, a case can be made for cutting back the deployed U.S. nuclear arsenal. The first point that should be made is that the present situation is untenable. We are living in circumstances of enormous danger for, as long as nuclear weapons exist, there is a great likelihood that they will eventually be used. Wars have been fought among contending territories and, later nations, for thousands of years, with the most powerful weaponry often brought into play. Nuclear weapons were used with little hesitation by the U.S. government in 1945 and, although they have not been employed in battle since then, how long can we expect to go on without their being pressed into service again by a defensive government, an aggressive government, a ruthless dictator, or a madman? The major difference between our current situation and 1945 is that more than 15,000 nuclear weapons now exist, with the capacity to annihilate most life on earth. Moreover, even if nations avoid using them for war, there remains the danger of their explosion by terrorist fanatics or simply by accident. According to Eric Schlosser, perhaps the world’s leading researcher on nuclear accidents, more than a thousand accidents involving U.S. nuclear weapons occurred between 1950 and 1968 alone. Many were trivial, but others could have been disastrous. When a tiny metal nut came off a screw inside a U.S. B-52 bomber, it circumvented a safety switch and fully armed four hydrogen bombs. In another incident, a maintenance technician investigating a faulty intruder alarm at a missile silo pulled the wrong fuse, which resulted in blowing the warhead off a missile. During China’s Cultural Revolution, Red Guards actually launched a missile with a nuclear warhead on a flight path over populated regions. Although none of the accidentally launched bombs, missiles, and warheads―some of which have never been found―has exploded thus far, we might not be as lucky in the future. Other factors also weigh heavily against maintaining a nuclear-armed world. For one thing, nuclear weapons programs are enormously costly. 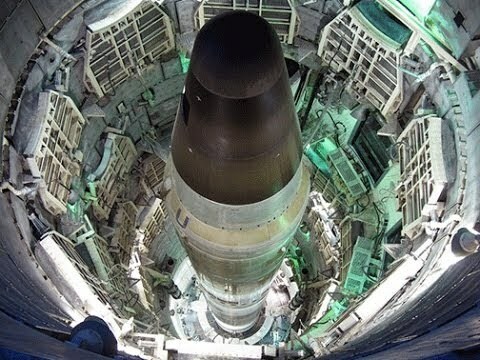 Currently, the U.S. government plans to spend $1 trillion over the next 30 years to refurbish the U.S. nuclear weapons complex and build a new generation of nuclear warheads, missiles, submarines, and bombers. Is this really affordable? Many specialists, including U.S. military officials, think it is not. 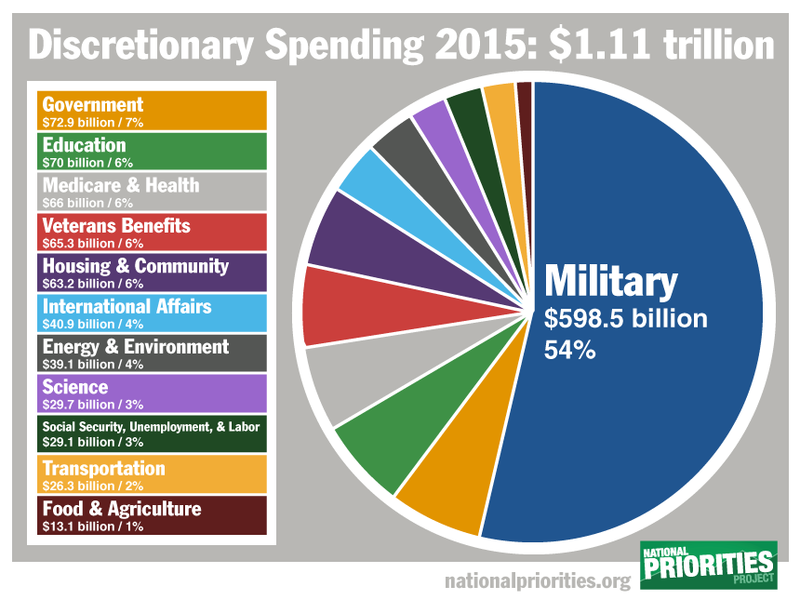 Given the fact that the funding of the U.S. military already chews up $598.5 billion, 54 percent of the federal government’s discretionary spending, an additional $1 trillion for nuclear weapons “modernization” seems likely to come out of whatever now remains of funding for public education, public health, public parks, public nutrition, and other vital domestic social programs. In addition, the proliferation of nuclear weapons to dozens of other countries remains a constant danger. The nuclear Non-Proliferation Treaty (NPT) of 1968 was a compact between the non-nuclear nations and nuclear-armed nations, with the former agreeing to forgo nuclear weapons development while the latter eliminated their nuclear arsenals. But time is running out on this bargain, for, despite U.S.-Russian agreements that have eliminated some nuclear weapons, the nuclear powers’ failure to divest themselves of their full nuclear arsenals and their plans for nuclear “modernization” are leading to a rebellion by the non-nuclear powers. Fed up with the hypocrisy of the nuclear-armed nations, some have themselves developed nuclear weapons, others are toying with the idea, and still others have begun a revolt against the nuclear powers over this issue. Conversely, further nuclear disarmament would bring some very real benefits to the United States, even in the absence of Russian participation in the disarmament process. A significant cutback in the deployed U.S. nuclear arsenal would reduce the number of nuclear weapons stationed around the world and save the U.S. government enormous amounts of money, which could be employed for useful domestic programs (e.g. single-payer health insurance or free public college education) or simply returned to happy taxpayers. With this show of respect for the bargain made under the NPT, most other nations, now rebelling over the failure of the United States and Russia to take meaningful action for nuclear disarmament, would be less inclined to embark on their own nuclear weapons programs. Also, at least some of them would be much friendlier to the United States. Unilateral U.S. nuclear reductions would also unleash pressures upon the Russian government to follow the U.S. lead. A little more than a half-century ago, disarmament activists―and even President John F. Kennedy―began to talk of a “peace race.” What they meant was that, rather than engaging in an arms race with the Soviet government, the U.S. government should compete with it by announcing cutbacks in U.S. military programs. Ideally, this would embarrass the Soviet government, anxious to curry favor with world public opinion, with the governments of other nations, and with its own population. Eventually, with much to gain and nothing to lose by engaging in military cutbacks, the Kremlin would begin making them as well, thereby joining the “peace race.” Would making well-publicized, annual reductions in U.S. nuclear weapons, accompanied by public challenges to Moscow and other nuclear powers to do the same, have that kind of effect on today’s Russia? Why not find out by giving it a try? The major reason “why not” is that nuclear weapons serve as a “deterrent”―or at least they are supposed to. But does nuclear deterrence really work? If it does, where is the evidence for that contention? Without such evidence, the argument that nuclear weapons prevented something that never occurred is simply a counter-factual abstraction. Ronald Reagan, widely recognized to be one of America’s most military-minded presidents, repeatedly brushed off airy claims that U.S. nuclear weapons prevented Soviet aggression. The director of Reagan’s Arms Control and Disarmament Agency, Kenneth Adelman, recalled that, when he “hammered home the risks of a nuclear-free world” to the president, Reagan retorted that “we couldn’t know that nuclear weapons had kept the peace in Europe for forty years, maybe other things had.” Also, the nuclear powers (including the United States and the Soviet Union) found themselves at war numerous times with non-nuclear powers. Why weren’t the non-nuclear powers—from China in the 1940s, to Korea in the 1950s, to Vietnam in the 1950s and 60s, to Iraq and Afghanistan in later years–deterred by the thousands of nuclear weapons in the nuclear arsenals of the United States and the Soviet Union? Of course, it should be conceded that much deterrence thinking focuses on the safety from nuclear attack that nuclear weapons allegedly provide to a nation. But, in fact, U.S. government officials, despite their large nuclear arsenal deployed throughout the world, don’t seem to feel very secure. How else can we explain their vast financial investment in a missile defense system? Or, for that matter, why have they been so worried about the Iranian government obtaining nuclear weapons? After all, the U.S. government’s possession of thousands of nuclear weapons should convince them that there is no need to worry about the acquisition of nuclear arms by Iran or any other nation. Furthermore, even if nuclear deterrence does work, why does Washington need 2,000 deployed nuclear weapons to ensure its efficacy? International Physicians for the Prevention of Nuclear War has pointed out that a 2002 study concluded that, if only 300 U.S. nuclear weapons attacked Russian targets, 90 million Russians out of a population of 144 million would die in the first half hour. Moreover, in the ensuing months, the enormous devastation produced by the attack would result in the deaths of the vast majority of survivors by wounds, disease, exposure, and starvation. Surely no Russian government would find this an acceptable outcome of an armed conflict with the United States. 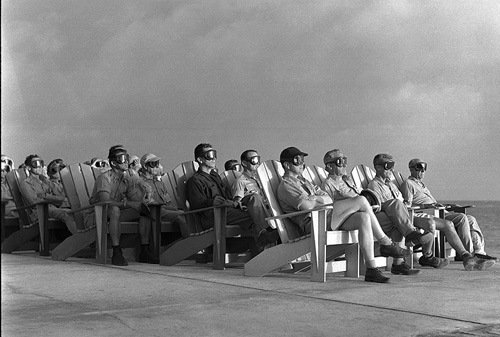 U.S. government estimates of nuclear war casualties are at least as chilling. 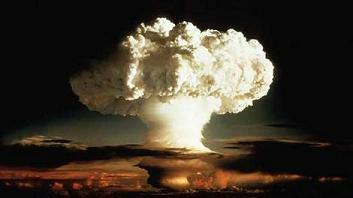 According to an official American government statement to the Disarmament Committee of the United Nations in 2009: “One nuclear weapon exploded in one major city could kill hundreds of thousands.” Even if we assume that “hundreds of thousands” means no more than 200,000 people, 2,000 U.S. nuclear weapons could conceivably kill 400,000,000 people if they were concentrated in such cities and vast numbers even if many were not Thus, the maintenance of 1,000 nuclear weapons on alert would give the Pentagon plenty of leeway to annihilate Russia’s population, as well as to wipe out Russian nuclear facilities and command posts. How much more is really needed to deter Russia or any other nation? This bizarre level of overkill probably explains why, as von Hippel reports, the U.S. Joint Chiefs of Staff think that 1,000 deployed nuclear weapons are sufficient to safeguard U.S. national security. It might also explain why none of the other seven nuclear powers (Britain, France, China, Israel, India, Pakistan, and North Korea) bothers to maintain more than 300 nuclear weapons. Indeed, two strategic specialists, one teaching at the U.S. Air War College and the other teaching at the U.S. School of Advanced Air and Space Studies, argued a few years ago that the United States “could address its conceivable national defense and military concerns with only 311 strategic nuclear weapons”. Although unilateral action to reduce nuclear dangers might sound frightening, it has been taken numerous times before with no adverse consequences. 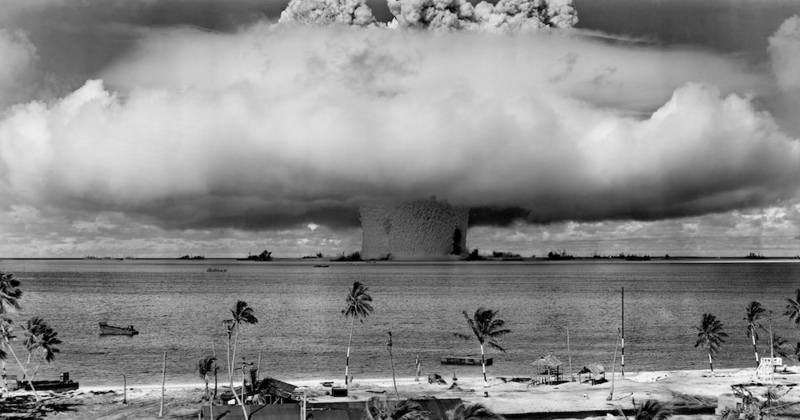 The Soviet government unilaterally halted nuclear weapons testing in 1958 and, again, in 1985. Starting in 1989, it also began removing its tactical nuclear missiles from Eastern Europe. 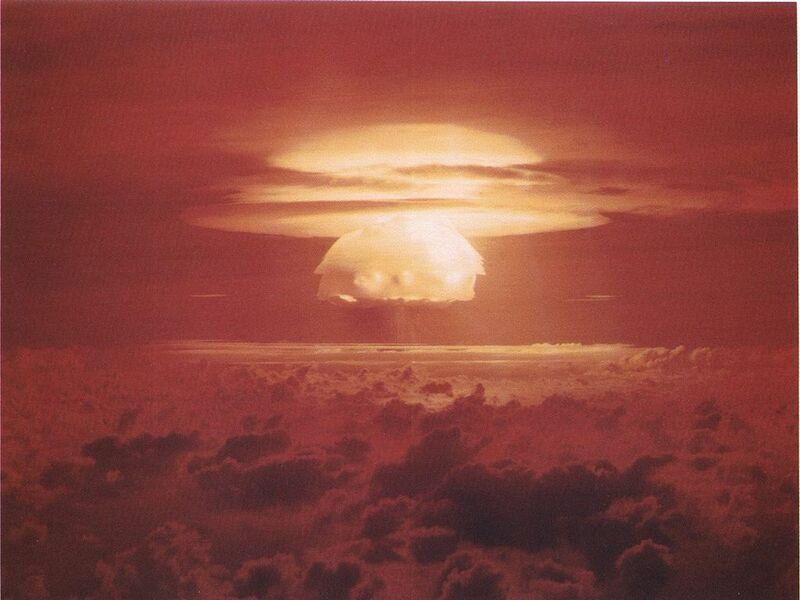 For its part, the U.S. government refused to resume atmospheric nuclear tests, despite the onset of massive Soviet atmospheric testing, from August 1961 to April 1962. Also, in 1991, the administration of U.S. president George H.W. Bush acted unilaterally to remove all U.S. short-range, ground-launched nuclear weapons from Europe and Asia, as well as all short-range nuclear arms from all U.S. Navy vessels around the world―an overall cut of several thousand nuclear warheads. Bush’s action constituted the most-sweeping unilateral nuclear disarmament measure ever to occur, with no evident breaches in US security. Other nations have also taken unilateral action. Canada, once defended by nuclear weapons-carrying U.S. aircraft and missiles, ordered them removed from its territory, leaving it nuclear weapons-free. New Zealand also became a nuclear-free nation by banning visits of U.S. nuclear warships. The government of South Africa, for years a nuclear power, destroyed its entire stockpile of nuclear weapons. Obviously, an international treaty banning and destroying nuclear weapons, with strict international enforcement, would be the best and safest way to abolish the specter of nuclear annihilation that has haunted the world since 1945. But that need not preclude other useful actions from taking place. The latest public accounting of the US nuclear arsenal – from September 2014 – showed about 4700 operational warheads, not counting those in the dismantlement queue. Of these, about 1800 were deployed on US submarine-launched ballistic missiles, on land-based intercontinental ballistic missiles (ICBMs), and at three US air bases hosting intercontinental bombers. About 200 tactical nuclear bombs were stationed at six fighter-bomber airbases in Europe. The roughly 2900 warheads that are not deployed constitute a generous reserve for contingencies, such as a problem with one of the six existing US warhead types or a decision to break out of the New START Treaty limits and load US missiles and bombers with nuclear weapons up to their maximum carrying capacities (aka the “upload hedge”). So how have US political leaders justified fielding 2000 warheads? Perhaps most important, they have pointed to the size of Russia’s nuclear stockpile. 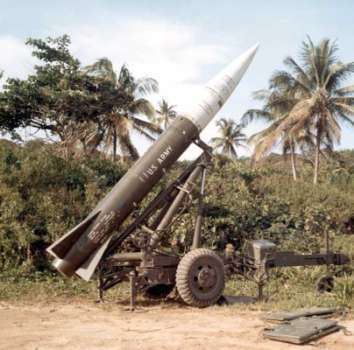 During the Cold War, the United States and Soviet Union built their arsenals competitively, amassing tens of thousands of warheads to impress each other and other countries. Today, US nuclear gurus argue that our nonnuclear allies will lose confidence in the US nuclear “umbrella” and acquire their own nuclear deterrents if the United States has fewer warheads than Russia. A majority of Congress is likely to endorse that argument. Therefore, even though the Joint Chiefs of Staff agreed in 2010 that the United States could reasonably reduce its arsenal to 1000 deployed strategic warheads, that reduction appears to be politically impossible to effect absent a willingness on Russia’s part to negotiate further cuts in its own stockpile. For its part, Russia is concerned that, if it further reduces the size of its nuclear arsenal, US ballistic missile defenses – unconstrained since President George W. Bush took the United States out of the Anti-ballistic Missile Treaty in 2002 – might be able neutralize whatever would remain of Russia’s nuclear deterrent after a US first strike. China has similar concerns. A second justification for the size of the US nuclear arsenal hinges on the argument that it is not just a deterrent force. Its primary mission is to be able, in an existential crisis, to destroy Russia’s nuclear forces (to the extent possible) before they can be used. This is one reason why virtually all US ICBMs are always on alert, ready to launch within minutes, and several US ballistic missile submarines are stationed as close as they can conveniently get to Russia, with their SLBMs prepared for launch. This “counterforce” mission locks the size of the US nuclear forces on alert to the number of Russian nuclear targets, plus key Russian command and control nodes, including the political and military leaderships in Moscow, with enough nuclear weapons left over to attack China if that becomes necessary. Any US President with the ambition to reduce the danger of a US-Russian nuclear confrontation will have to deal with these two justifications for the number of US nuclear warheads. The US electorate and news media should want to know whether each of the 2016 presidential candidates wants to reduce the size of the US nuclear force, and, if so, how he or she plans to overcome the competitive and counterforce arguments that have long underpinned an arsenal of thousands of US nuclear warheads. This article was published in The Bulletin of Atomic Scientists on September 6, 2016, pp. 274-75. Lawrence S. Wittner is Professor of History Emeritus at the State University of New York, as well as the author of a scholarly trilogy, The Struggle Against the Bomb, and an abbreviated version,Confronting the Bomb―both published by Stanford University Press. Frank N. von Hippel is one of the United States’ most prominent scientists in the nuclear policy arena. He co-founded Princeton University’s Program on Science and Global Security and the International Panel on Fissile Materials, and is a member of the Bulletin’s Board of Sponsors. A former assistant director for national security in the White House Office of Science and Technology, von Hippel’s policy research currently focuses on reducing global stocks of weapon-usable fissile materials and the number of locations where they can be found.